Proof that brilliance and insanity walk hand in hand. Thank heavens for the creativity of the human race. 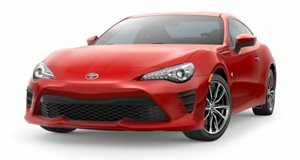 One minute we’re striking flint to steel and cooking dinner and only a short time later there is somehow a V8 Ferrari engine that’s found a home inside of a Toyota 86. The madness for such a build originated from the mind of drifter Ryan Tuerck and his associates who love modified Toyota 86s. Just as it sounds, a build like this takes some serious improvisation, a good welder, and a mechanic who has made a pact with the devil. Unfortunately, the car isn't ready yet. See how the transplant for the V8 Ferrari F136 engine starts out and keep your eyes peeled for an update on how the whole thing turned out.